Today we are interviewing Roger Hickman Jr, author of Profit or Property. I’m married with four adult children. I have been investing in real-estate for over 20 years. To teach everyone above a third grade education how to safely invest with the government and no credit required. Written for someone that has no knowledge of this product. My friends and family got tired of asking me question and said you need to write a book, so I did. I wrote this book because I wanted to share my twenty years plus journey with everyone who is seeking a way to generate income without having a lot of money to invest. Even the little people can get in the big game of investing in real estate. I did my best to take out all the jargon that can potentially be misleading. I want everyone that read my book to know that, they do not need investing experience, a license or have to pay a professional investor to conduct business for them. 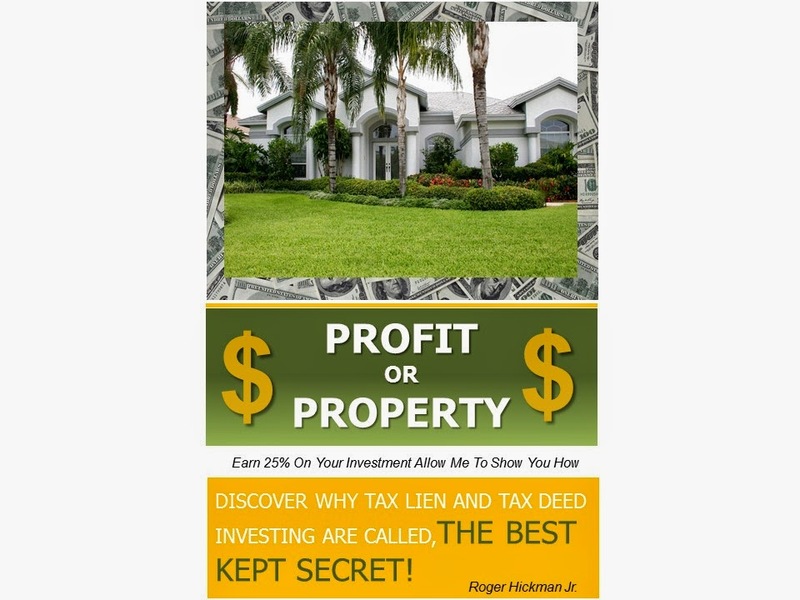 When did you first get interested in real-estate tax lien investing? About 27 years ago, I’m 50 now. How does your book differ from other books on the topic? This book contains information and links that will help you get started investing today. It covers why tax liens and deeds exist. It will educate the reader on who to contact about tax auctions, what questions to ask, what is needed to start investing and many other important details. It tells you how to go after it, “so what are you waiting for” If generating supplemental income with little effort is your goal, then this is the book for you. How little we all know about investing with the government. They love how detail my book has been written and once they try tax lien investing they will never invest any other way. It’s the best kept secret!